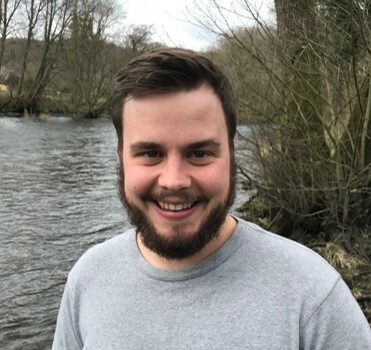 Hi everyone, I’m Matt, the new project officer at South Cumbria Rivers Trust (SCRT). 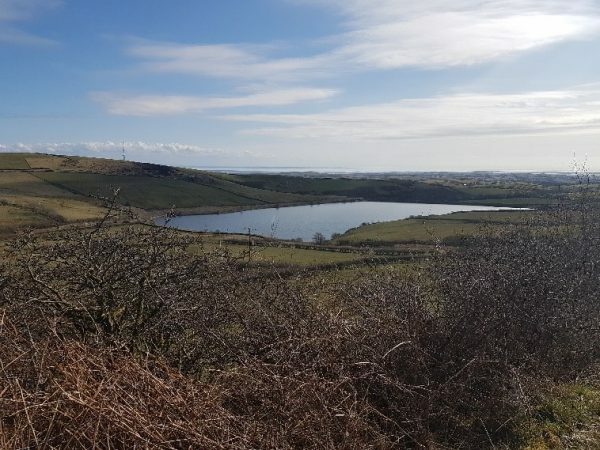 As a new starter I thought I would start this blog to take you through some of the work I get involved in, and what is involved in the day to day role of a project officer here at SCRT. Apologies this blog hasn’t been started sooner, as I started 2 weeks ago but I have been kept busy by the work and I have done loads! As an ecologist looking to do more practical project work many aspects of the role are completely new to me so it has been great to learn so many new skills in such a short space of time! Everyone here at SCRT has been really helpful and welcoming, which makes the job even better. Unfortunately, I am still struggling with how everybody takes their tea, so that is something I need to work on! The week started with a great introduction and tour from Bekka, my line manager and the Cumbria freshwater invasive non-native species officer. We work in an old gunpowder mill next to the River Leven, which is a great location (the lunchtime walks are pretty good!). I also met all of the other members of the team, and will try to introduce them all throughout my posts. After a few days settling into the office and getting used to all of the systems, Wednesday was my first chance to get out and about on site visits. 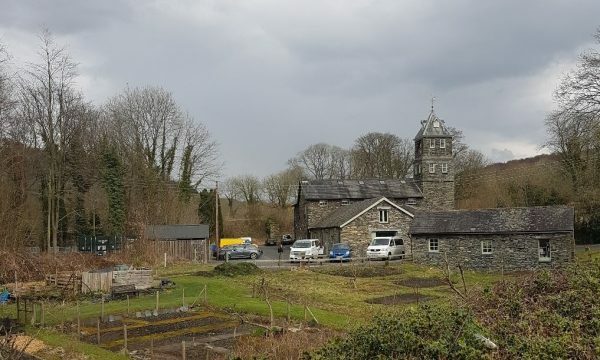 Mike West is the project officer for the HLF Coniston and Crake project and as the other project officer in the team will be mentoring me through some of the processes involved in project work. 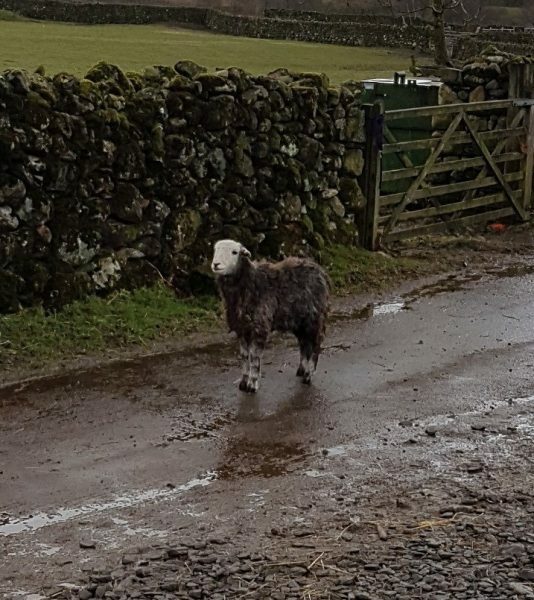 In the morning we went out onto Torver Beck to meet a contractor undertaking some fencing work! It was really useful to see how Mike goes about talking to landowners and contractors to get projects rolling (and overcome snags if they arise!). 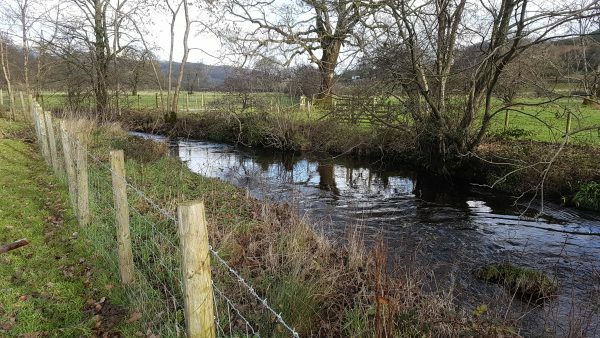 Fencing provides a barrier between livestock and the river, providing the agricultural benefits of reducing soil damage, reducing erosion and stopping waterborne diseases. Environmental benefits include protecting watercourses against poaching and sedimentation, and improving aquatic and riparian habitats. A win-win situation! A return to the office and a training session on the new walkover training app followed. This session was a great introduction from Jayne Wilkinson, our catchment planning and delivery officer. This app allows us to collect walkover survey data in the field, and analyse the data when back at the office, including automatic mapping of survey locations! This app is also available for volunteers so look out for this in the coming months! Wednesday afternoon I was invited on another trip out of the office to do some hands on practical project work with Mike! 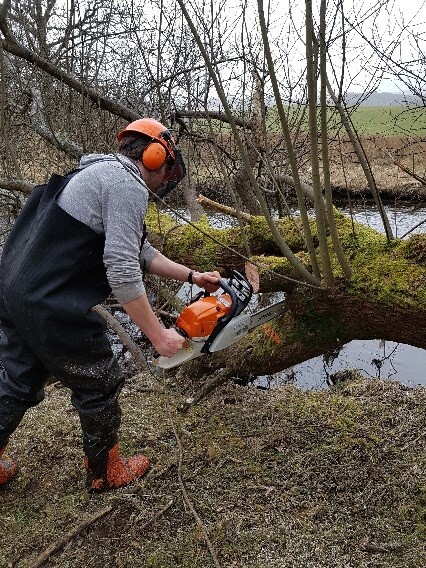 This involved installing some large woody debris into the River Crake at Bouthrey Bridge. 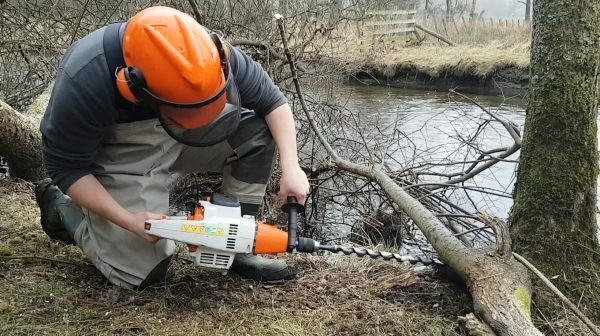 This work involved Mike using his chainsaw to remove some large branches across the river and winching them into place closer to the bank. These branches and logs were then bolted into place to create fish refuge habitats. I really enjoyed this practical side of the work, getting into my waders and into the river to make environmental improvements! I was out again on Friday with Mike West and Mike Sturt, our technical officer, to Yew Tree Tarn. Here we conducted a pre- installation site visit to take a final look over the site and methods of installation for a fish easement. This will be installed to allow fish to move up the watercourse and access spawning grounds upstream. In between all of these site visits in the field I have been spending time in the office looking into numerous projects that I will be involved in, and have attended meetings in order to get up to speed on the current status of each of them. I’m finding all of this research interesting and hope it will be invaluable when I come to work fully on the projects in the near future! This week I have completed walkovers with Jayne in both the Poaka Beck and Duddon catchments. These walkovers are looking into diffuse pollution issues and allow us to identify possible project opportunities. Lots of photos were taken and we also trained some volunteers on our walkover app! Hopefully this has given you a good overview of my first few weeks and look out for my next blog post soon!